A Peace Agreement Between China and Taiwan? With cross-strait ties warming, now might be the time to move forward on a peace deal. During the 2012 presidential election, Taiwan’s President Ma Ying-jeou called for the signing of a peace agreement with China. For their part, Chinese leaders have also expressed interest in reaching such an agreement. Although substantial obstacles remain before any deal can be made, this increased interest on both sides of the Taiwan Strait suggests that a closer examination of an agreement’s possible dimensions is warranted. Political ties between Taiwan and China have warmed to their best level in more than 60 years. A reversal is unlikely. Rather, the momentum is likely to grow and this creates opportunities to advance discussions of a peace deal during Ma's second term in office and under President Xi Jinping leadership. To sign a peace arrangement, both sides of the Taiwan Strait would have to deal with political issues such as having a precise definition of "one China" and something more explicit than the 1992 consensus. According to the consensus, the two sides of the strait agree that there is only one China, with each side free to interpret that as they wish. Moreover, a peace agreement would require Taiwan to pledge not to declare independence and China would have to declare that it would not use force against Taiwan. As early as 2005, Taiwanese opposition leader Lian Zhan went to China to meet President Hu Jintao. The KMT and CCP expressed at the time a desire to sign a peace agreement. The KMT returned to power in 2008 and Hu seized the opportunity to improve bilateral relations, announcing his six-point policy for Taiwan. Once again, Beijing raised the issue of a cross-strait peace agreement, demonstrating considerable goodwill and a willingness to cooperate. 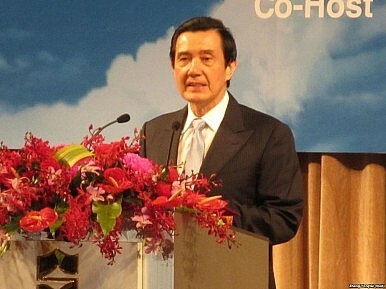 In May 2008, President Ma Ying-jeou took office. Based on the 1992 consensus, he proposed a cross-strait provisional framework. He then unilaterally adopted a series of measures to improve relations with China. In January 2012, Ma was re-elected. During the election campaign, he reiterated his vision for a "golden decade." As part of this vision, he proposed the conditional deliberation and negotiation of a cross-strait peace agreement. The proposal attracted considerable attention. Before talking about any deal, it is important to first understand what a cross-strait peace agreement is. It not only requires broad consensus on the framework, it also needs attention to implementation. A peace agreement should address past grievances, provide security guarantees, promote reconciliation, establish trust and normalize relations. Each process is complex. Obviously the cross-strait peace agreement must include different phases and different content. It is an ongoing process. Put simply, cross-strait peace cannot be achieved overnight. Moreover, a peace agreement is only an interim solution. It points the way to potential future reunification. It is not in itself reunification. It represents a political relationship under circumstances in which the two sides have yet to be reunified. It moderates the pace and limits the extent of reunification—indeed it could even delay reunification. One might say that if that was Taiwan’s desire, a cross-strait peace agreement could be helpful. Taiwanese independence is already outside the realms of feasibility. But besides opposing independence, Taipei must affirm the one China framework and the one China, different interpretations concept. Therefore, when signing a peace agreement, Ma must be creative. He must seek to define and interpret the one China framework. He must be innovative and seek breakthroughs. This is not merely in Taiwan's interests. This is also in the interests of the common civilization shared by both sides of the Strait. Ma has said that his government would cautiously consider whether the nation should sign a peace agreement with China within the next decade, but added that such a move would require strong domestic backing. If Ma honestly believes an agreement has to be signed between Taiwan and China in the coming decade, he must initiate a referendum, which would likely pass. Can Taipei and Beijing negotiate a peace agreement, if a referendum is adopted? They can. As the saying goes, a journey of a thousand miles begins with a single step. Achieving a cross-strait peace agreement requires direct contact and intense negotiation. As long as both sides are willing to reduce the possibility of conflict and remove barriers, nothing ought to be ruled out. Taipei and Beijing are about to enter a phase in which the absence of a peace agreement will impede peaceful development. If a constructive and creative peace agreement can be implemented, the possibilities for cross-Strait relations are limitless. Kent Wang is advisory commissioner at the Overseas Chinese Affairs Council, Republic of China (Taiwan). China's president pressed Taiwan’s government to recognize the “1992 Consensus” at the 19th Party Congress.